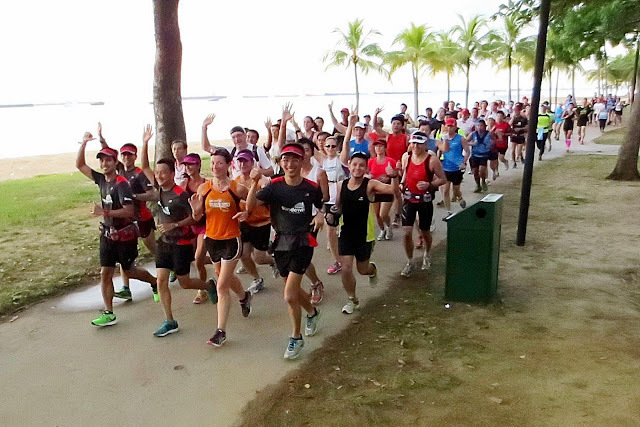 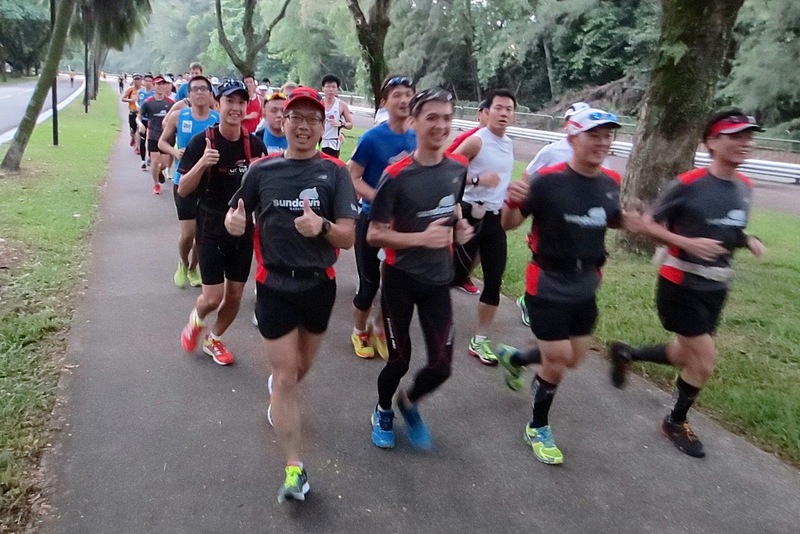 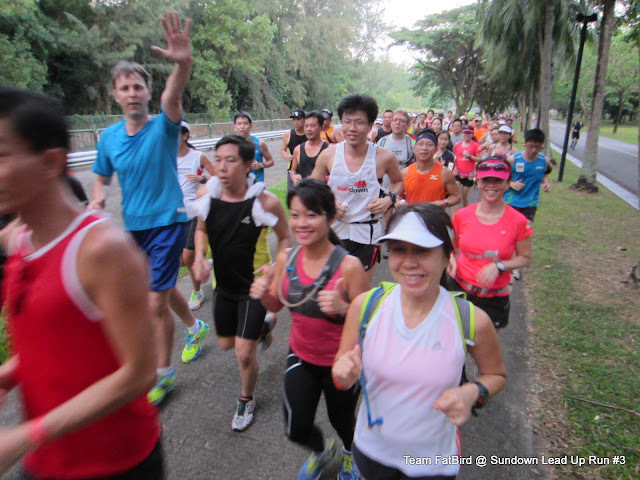 It was yet another great turnout of highly charged runners in the 3rd and final installment of the Sundown Lead Up Run series. 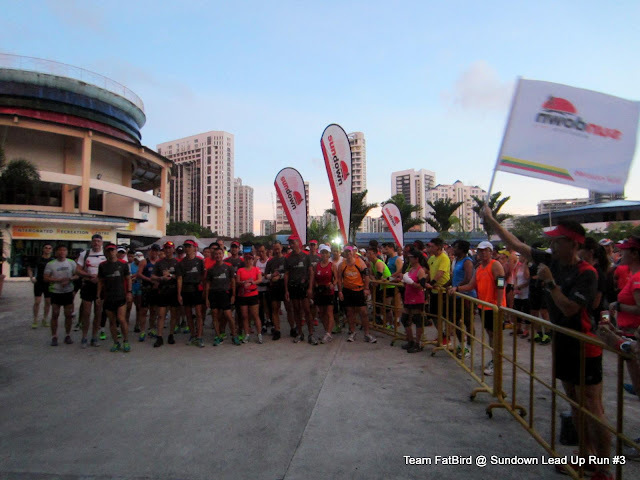 The crowd started streaming in as early as 6:00am to get registered, collect their Optimal Pace Bands, meet up the Sundown Pacers as well as the Sundown Charity Ambassadors who were special guest runners. 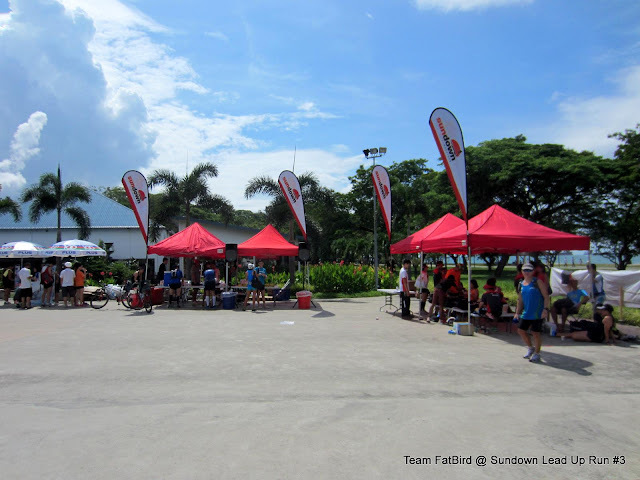 The Playground @ Big Splash was a flurry of activity with 4-5 tents and bright lights. We were able to get the briefing in by 6:30am after grouping the runners in their respective target pace groups along with the Sundown Pacers. Since this was to be the longest training run (21km for Half Marathoners and 32km for Full Marathoners), we were happy to flag off by 6:45am, just before first light dawned upon us – in the hope that it would minimize sun exposure in the latter part of the morning. 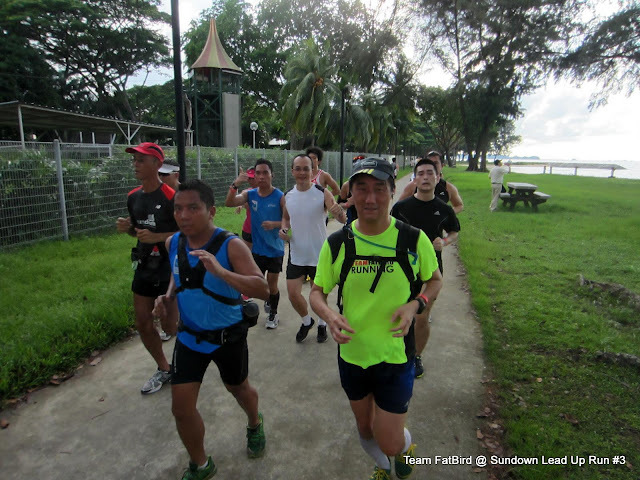 The weather favoured us with cloudy skies for a big part of the run, with just a couple of windows of heat from the sun, definitely a cooler affair than Lead Up Run #2 a few weeks ago. 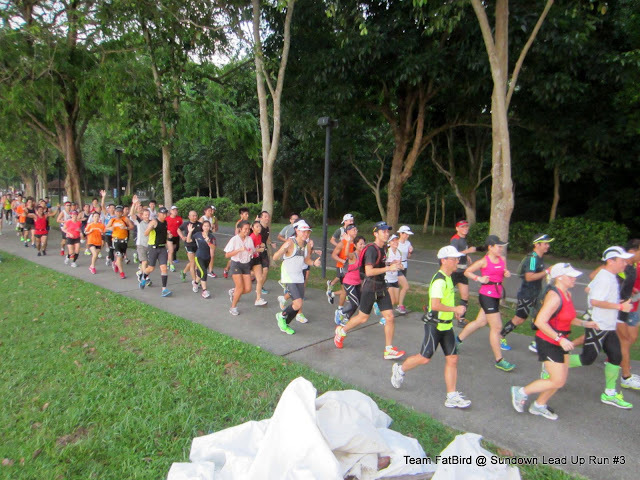 The Pace Groups quickly settled into their Optimal Paces and were able to sustain that for at least the first 15km. 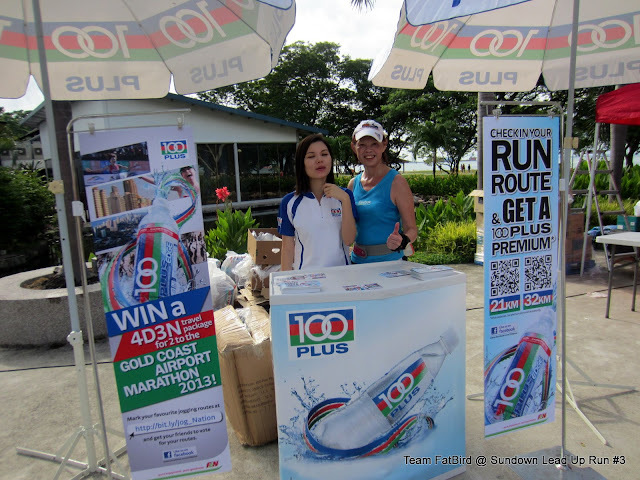 Other than the motivation and encouragement from the Sundown Pacers & Ambassadors, the 100 Plus and Maxinutrition hydration refuel points formed intermediate objectives that the marathoners looked forwards to reaching, making the long distances more achievable and even easier when tackled as a cohesive group. 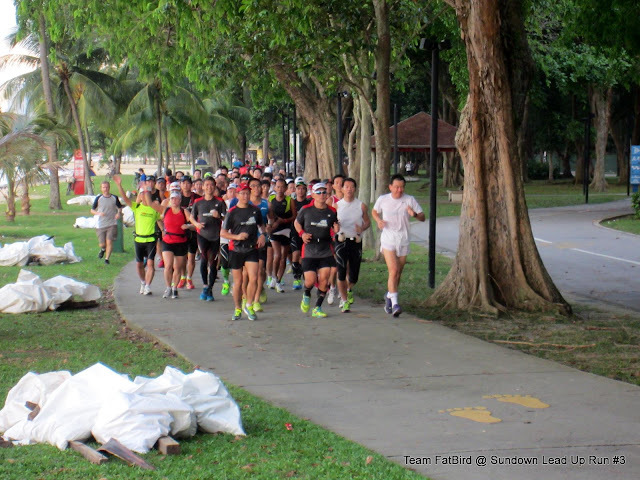 The first 21km was covered in good time with most of the groups arriving back to The Playground by 9:30am. 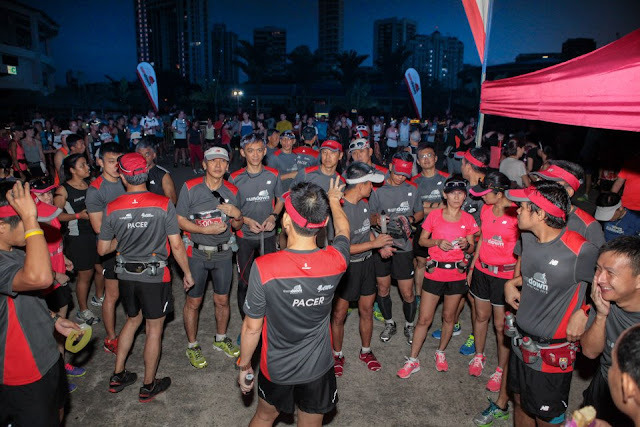 The HM runners were fully satisfied that they were able to complete their regulatory distances without too much trouble, giving their confidence a good boost for race night readiness. 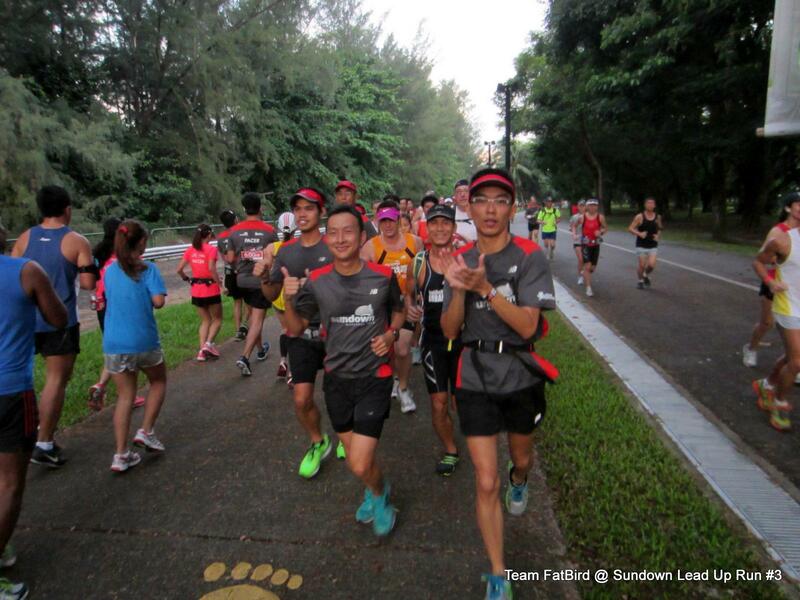 The FM runners, after a quick break of drinks and bananas, proceeded on at the encouragement of the Sundown Pacers for their final 11km of sustained Optimal Pace. 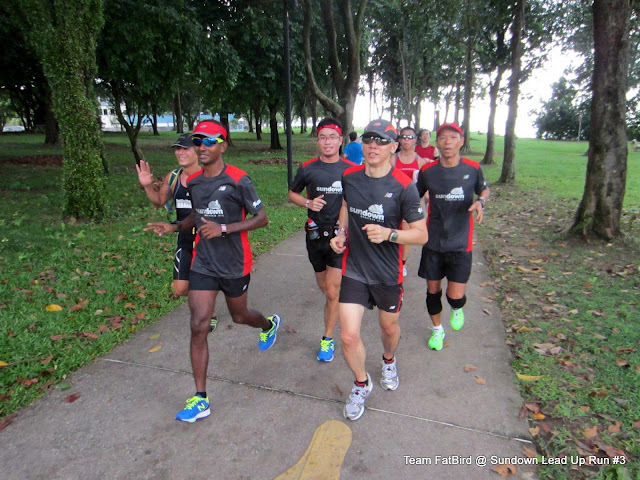 Most of the runners were still looking good, testimony to the reserves in them for the onward second half journey, which will surely test their endurance limits. The groups still on their feet were noticeably smaller by 10:00am, since a number from the HM categories and some who had started even earlier in the morning had completed their tasks. 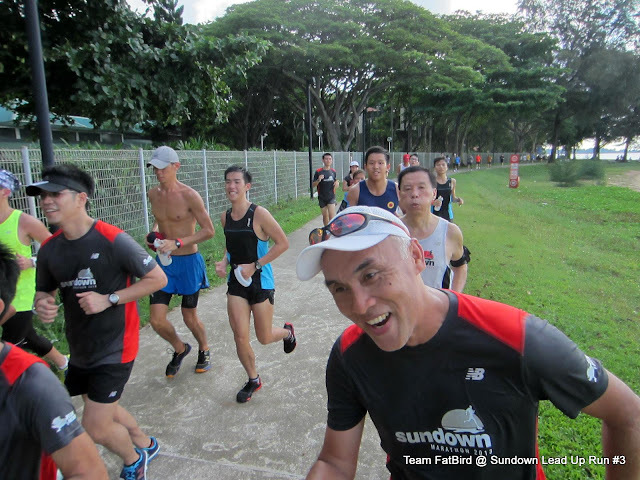 The Sundown Pacers continued on with their mission to maintain the sustainable paces, and were looking undaunted by the heat of the late morning sun. 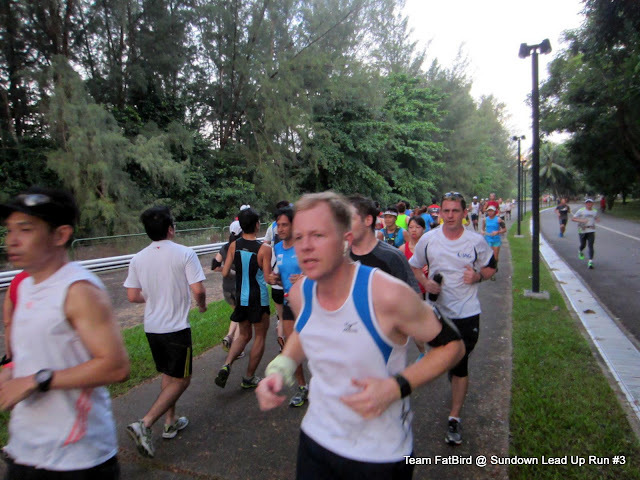 So too were the runners who were still at it, although it was mental resolve that kept them in their strides, all too determined to finish off the run strongly. In the end, it was sweet reward for most who completed their longest run to date, and at good paces to boot. 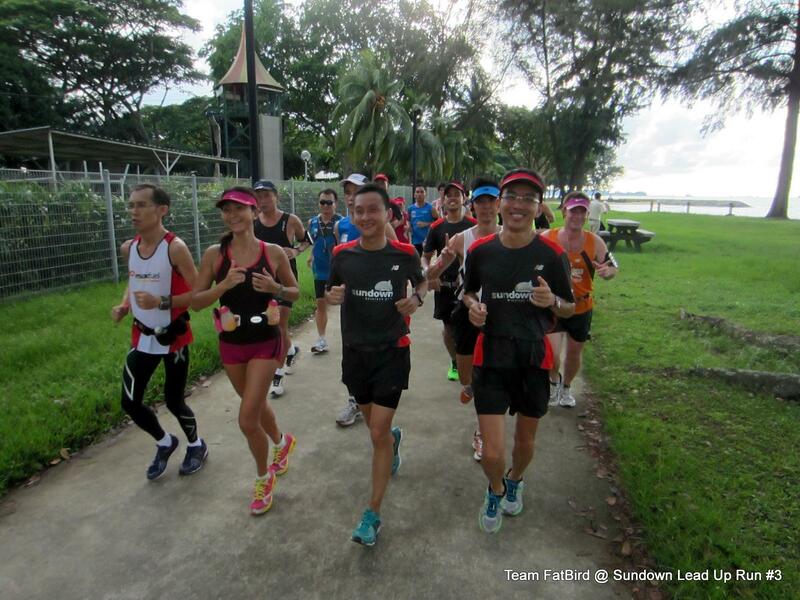 Although visibly tired, their faces exuded a sense of satisfaction at having given their best for the morning. 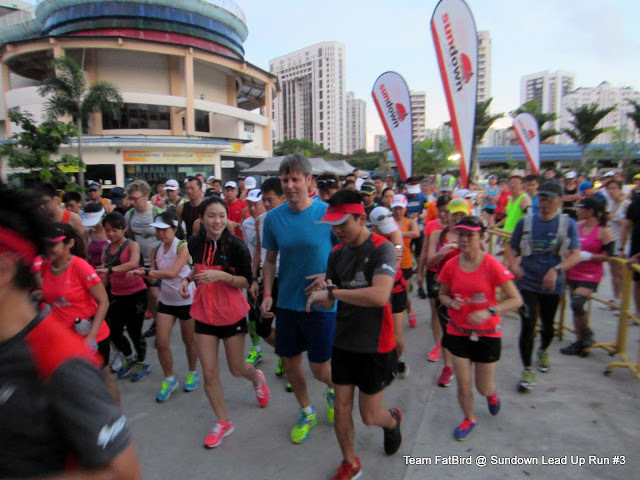 The confidence booster will put all in good stead for the Sundown Marathon on May 31 and June 1. 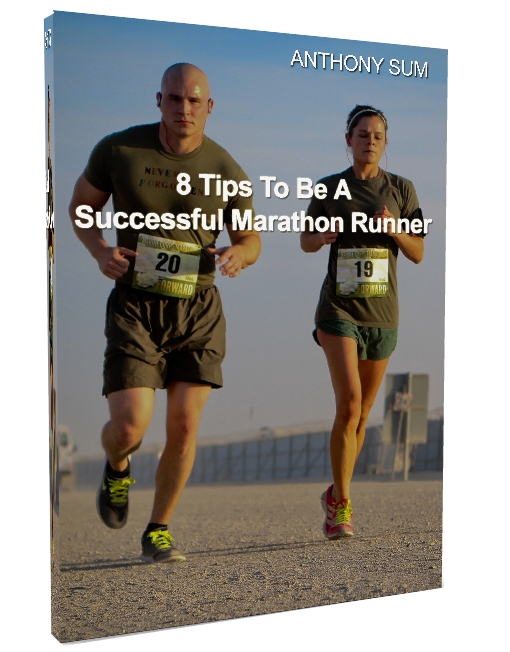 It was advised that the marathoners do a long night run the following weekend to inject night conditioning, before entering the tapering phase as we will lower the distances, albeit at the same intensities/paces. 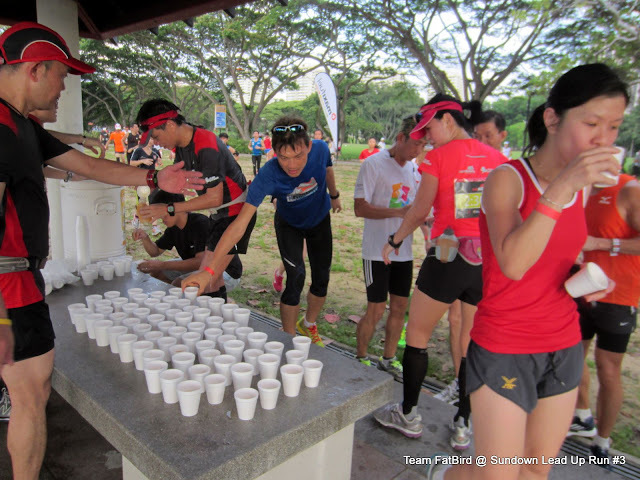 There are more aspects to hone in the final weeks of training, especially in the areas of hydration, nutrition, adaptive recovery and sustainable pacing, which should ensure nothing much is left untested when the final night arrives. The Sundown team are encouraged by the commitment and performances of the Lead Up Runners this morning, which showed good progress since the first Lead Up Run 5 weeks ago. We are confident that the runners will bring out their best to Show Their True Colours on race night. 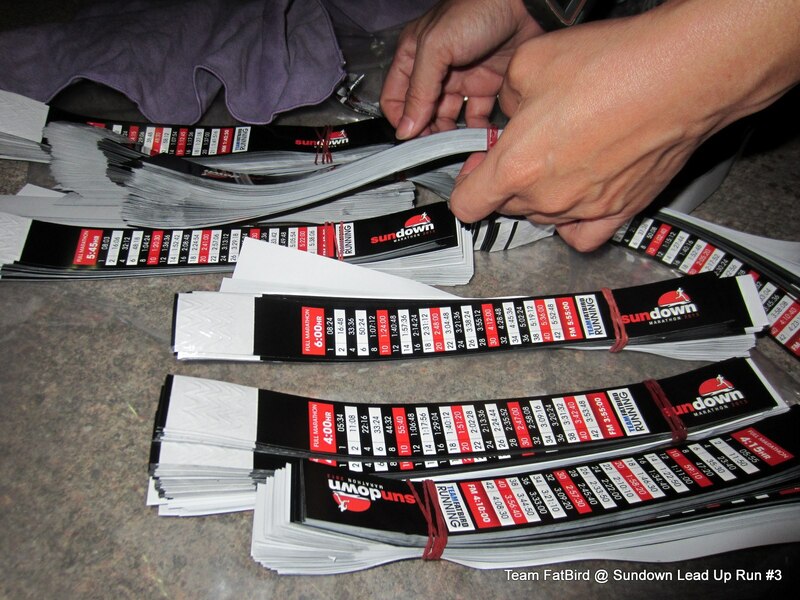 Sundown Marathoners, see you at the start line!